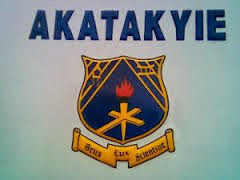 The students revealed this, when they were summoned by the school’s Disciplinary Committee (DC) in the presence of their parents, a source has said. The three boys, were suspended after the disciplinary committee established they engaged in the act, following a ‘caught-in-the-act’ report made against them by their colleagues. According to Kapital news source at the school, the victims were nearly lynched by their marauding colleagues who caught them in the nefarious act. Some teachers, who intervened, were nearly attacked by the mob as they threatened to vandalize their vehicles. ghnewsnow source also revealed that the students are currently undergoing a transformational process as the services of counselors have been employed to engage them. The students, according to the source will know their fate after a meeting by school authorities and the board of the school. Students who spoke to ghnewsnow Isaac Bediako on conditions of anonymity said this is the second time an incident of such nature has happened in the school. Meanwhile, the Ashanti Regional Office of the Ghana Education Service (GES) has met the school’s authorities over the issue. The security, supervision and monitoring of activities of students have also been intensified to prevent future occurrence of such incident.